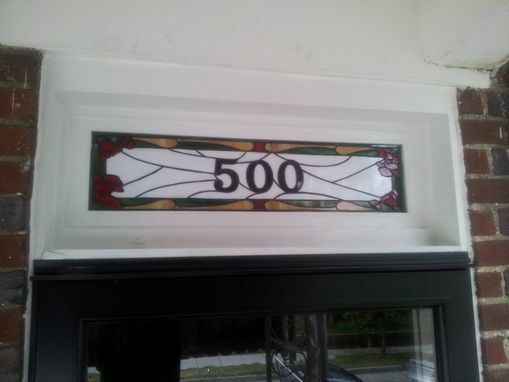 This lovely stained glass transom has made such a difference in our customer's front entry! Glass: On this piece we used Wispy white opal for the background, black solid opal fot the house numbers, pale green and honey amber wispy for the border design, red opal poppies and decorative circles in the border. Size: 31 7/8" wide ×7 7/8" tall. Having a decorating piece like this is not very difficult, you just need to contact us and tell us about the design/motif/colors you want and the size you need. 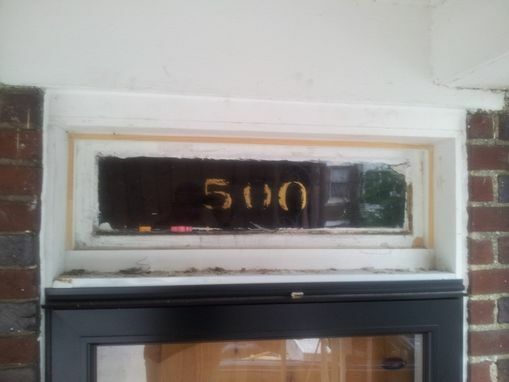 We'll be happy to do the rest of the work!